Google has made the process of locating key information in a lengthy Google Doc much easier! 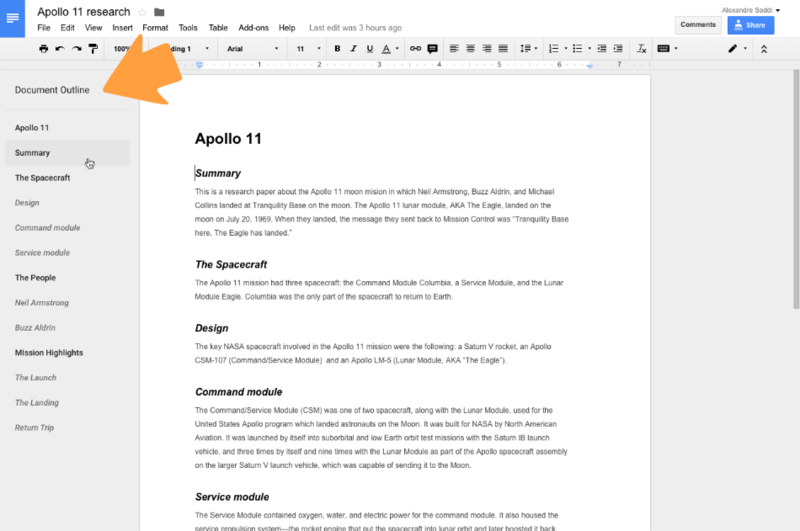 A user now has the option to click on tools in the Google Doc menu and select Document Outline. By selecting this option an outline is displayed in the pane to the left of the page making is easy to quickly jump from section to section.